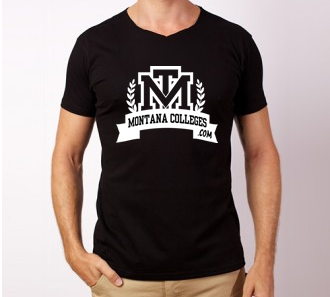 YOUR SUPPORT OF MONTANA STUDENTS? Shirt, Hat, Coat, etc. On Your Area College Fair Day! During your area College Fair in September, wear your college gear! Show students that they are surrounded by college graduates and supporters of higher education. Together we can show students they are supported in their dreams after high school! Facebook, Twitter, Instagram, LinkedIn, Your Website, and more! Would You Like To Support Student Scholarships? Every penny of what you give today goes directly to Montana students to help them reach their dreams after high school! Here is your chance to donate a $1.00 and help a student together! ALL donations go directly into a scholarship fund that is randomly given away to juniors and seniors across Montana each year. In our 9th year of this statewide celebration, each September we join with all of you in helping students see the value of higher education. In that effort to show students all the support that surrounds them, we ask that each community wear college and/or educational gear during the week of their college fair. We also ask the you show your support of students by sharing on Facebook, by donating a $1.00 to the student scholarship fund, and/or encouraging students to seek higher education after high school. This helps students to see the support around them as they begin to dream of the many options after high school. Thank you for the consideration to embrace and support this Montana College Spirit / Pride Celebration and the promotion of higher education to Montana students! Please feel free to spread the word about this Montana Pledge for Students! Post information to your website, share in your newsletter, share with your local press, etc. As a statewide team we can accomplish more for students and Montana education! Join this team effort today! Have fun with this effort! A very special thank you to our sponsors, partners, and individuals who help support MPSEOC programming for students and Montana education! And, a very special thank you to everyone who joins this pledge to help Montana students! As a team we can help even more!